A year or two ago, I got a record gifted to me from a professional colleague. 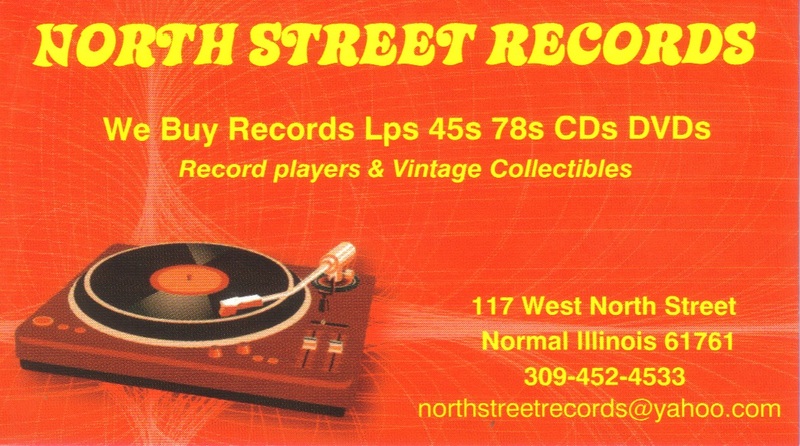 There was a sticker for The Waiting Room inside and my friend mentioned that downtown Normal had record stores 'up and down the street'. I had trouble believing him at the time, but he was basically correct. Inexplicably, there are two record stores almost next door to one another. I visited the area and checked out another shop a while back - I had been en route to The Waiting Room but slammed on the brakes when I saw another store (I was not disappointed). I didn't have as good of luck here, but it was still worth the trip. 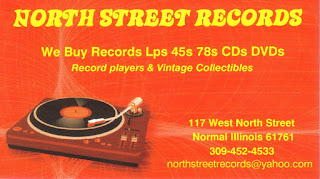 Approaching the strip from my parking spot, first up was North Street Records. Despite my introduction above, I was unaware as I strolled down the street that there were two stores in the same block. 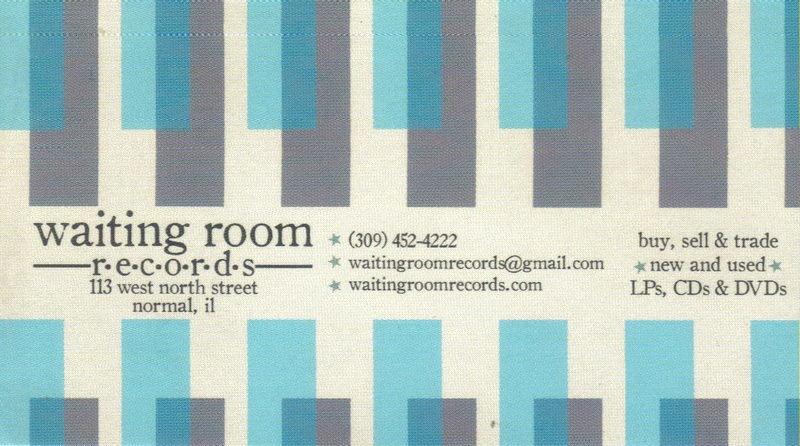 Some confusion ensued as I had to check, if this is North Street Records, then where the hell is the Waiting Room? Once I worked that out, I stepped inside. I was greeted just inside the door was a $1 bin - always a welcome sight to this record hunter who is much more comfortable in a thrift store setting. I found some more copies of a sound effects record I grabbed a while back. Mine was autographed and a note on the rear jacket states that this was standard practice if you purchased via mail order from the artist. I was somewhat glad to find two copies in the dollar bin - one autographed, one not. Nice to know that EVERY copy isn't autographed. I feel so special now! In the adjoining blue crate on the floor I did find a 12" classic (as opposed to 2x10") and also a Kudu platter - both of which I already own. Nothing to buy but at least they have good taste. I prowled around the rest of the shop...didn't buy anything but the place was really well organized and a comfortable enviornment to shop in. 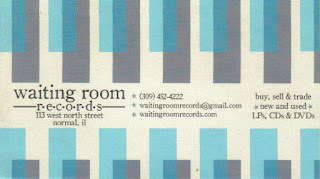 And at least, The Waiting Room, whom I had heard so much about and waited so long to see. Again, I was greeted with the dollar bin just inside the door - positively nothing of interest there. Did some wandering around the store....they probably had at least 1/3rd of the inventory in CD not vinyl and what vinyl they had was wildly overpriced at times. If I want to buy some 90s punk on vinyl it won't be an album this late in a band's career. Earlier stuff....MAYBE. So I left empty handed but I got two more business cards and I got to blog about it take some pics - long ago became my 'consolation prize' in lieu of the record(s) I don't really want. Two nice shops - glad I checked them out.